Anytime is a good time to quit smoking, and the FDA’s campaign — dubbed Every Try Counts — is there to help every step of the way. According to the organization, nearly 70 percent of current adult smokers say they want to stop. Furthermore, the FDA offers these four tips for quitting successfully. 1. Know your reasons for quitting. Whatever your reasons may be, whether you want to improve your health, save money, improve your senses of taste — or maybe a combination of all of the above — it’s good to identify your reasons ahead of time. Whatever it is that motivates you, get clear on it and consider making a list so you can read it when urges strike. 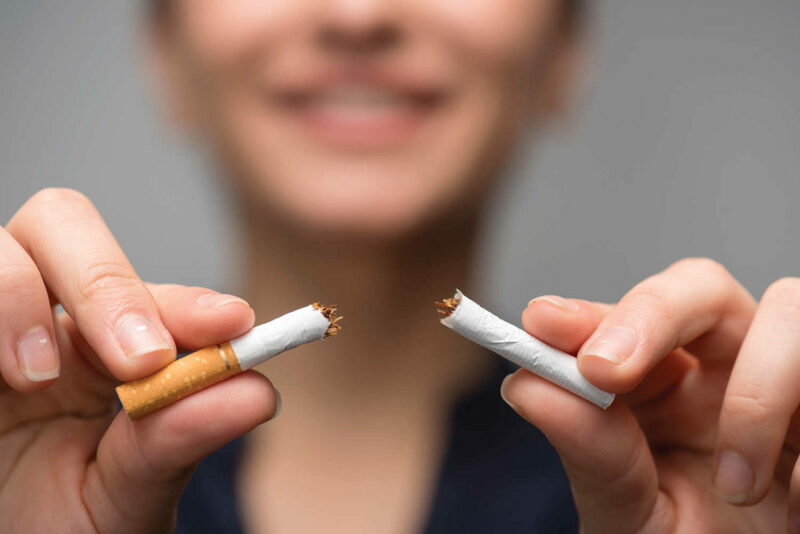 Something good to add to the list: By quitting smoking, you’ll lower your risk of having heart disease, a stroke, emphysema, various cancers and other serious diseases. Cigarettes are highly addictive thanks to nicotine, and quitting smoking can be difficult. When the body suffers withdrawal symptoms, like cravings, trouble sleeping, anxiety and irritability, then quitting can become even harder.However, those symptoms disappear over time, and it will eventually get easier. Know that you may have to try to quit a few times before you’re successful. Oftentimes, it takes multiple attempts to quit smoking long term, so don’t be too hard on yourself if you slip up. 3. FDA-approved products can help you quit. There are several FDA-approved smoking cessation products that can help you stub out smoking for good. For example, nicotine replacement therapy, which supplies controlled amounts of nicotine, can help you quit by reducing withdrawal symptoms and cravings. Two types of prescription NRT products (a nicotine nasal spray and nicotine inhaler) and three types of over-the-counter nicotine products (a gum, transdermal patch and lozenges) have been approved by the FDA. Other FDA-approved, prescription drug products that do not contain nicotine also are available. Talk to your health care provider if you have questions. 4. Take advantage of other FDA resources. Finally, be sure to check out the FDA’s campaign at everytrycounts.gov to find more support and free resources to help with your next quit attempt. For instance, you can sign up to receive text messages with tips and encouragement. There’s also a mobile app where you can track your smoking triggers — and therefore avoid them. Trained cessation coaches are also available for free via online chats or by phone. A Lifeline for Teens: A new app offers immediate help for those suffering from depression. School is back in session, and for some kids and teens that unfortunately means bullying. One such teenager, Hannah Lucas, decided to take a stand and make a major impact with one little button. Last year, the then 14-year-old was having fainting spells so often that she missed 70 percent of the school year.And when she was a school, she was constantly being bullied. She was even threatened by a fellow student that she would be taken advantage of the next time she passed out in school. Needless to say, Lucas was scared. That fear turned into depression and even into suicidal thoughts. That’s when her little brother Charlie (11) stepped in to help her change things. The two siblings searched for apps that helped teens during times of distress, but they didn’t find any. So created their own app — dubbed notOK — that allows users to ask for help when they’re feeling vulnerable. Maria’s Pick — Enjoying the Present Moment: The New Orleans Museum of Art offers mindfulness classes this fall. A series of eight mindfulness classes are back by popular demand at NOMA. Mindfulness — defined as experiencing the present moment with open curiosity, without judgment and with a willingness to be with what is — can help with many facets of life. For instance, mindfulness training teaches skills to help individuals cope with the stress, pain and challenges of everyday life; handle disturbing events with grace and composure; and be present and alive in the here and now. 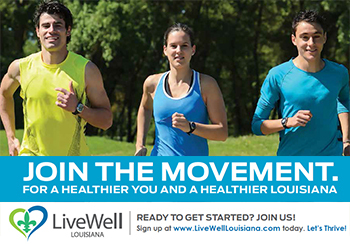 “It’s always a great idea to take a break from hectic everyday life, and these classes are a fantastic way to do so,” says Maria Muro, publisher of New Orleans Living. “Plus, you’ll learn skills that you can take with you and use long after the classes have concluded.” The series begins Aug. 25 and will be held 10-11:30 a.m. on Saturdays throughout September (no class on Sept. 15) and October (the final class is Oct. 20). The cost is $50 for NOMA members and $70 for nonmembers. Register at noma.org/event/mindfulness-classes.